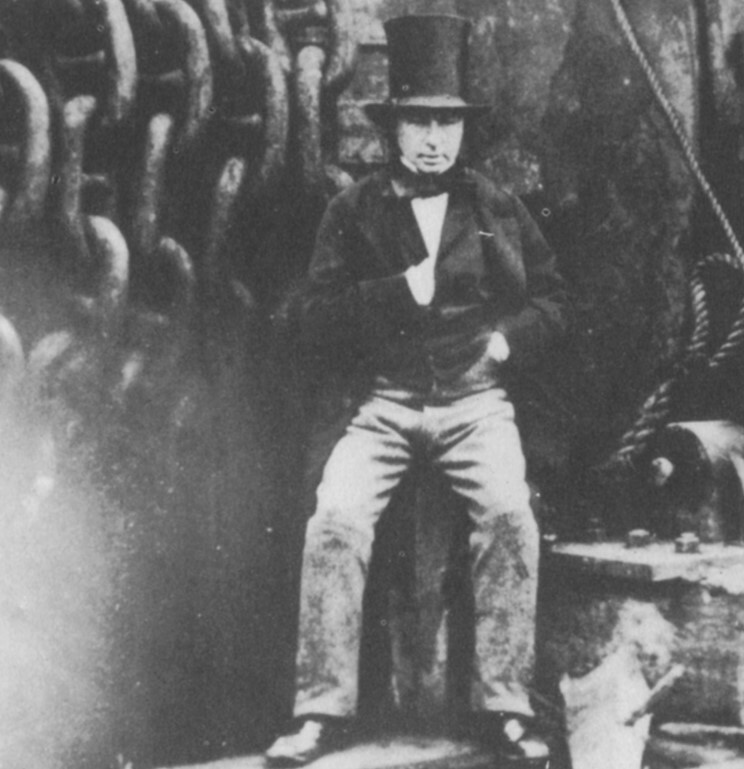 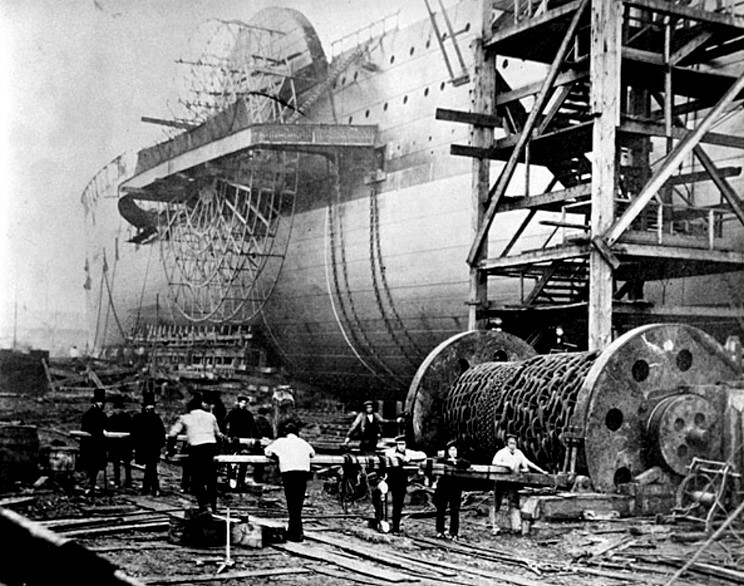 In the third photograph Brunel is seen sitting, minus his trademark cigar. 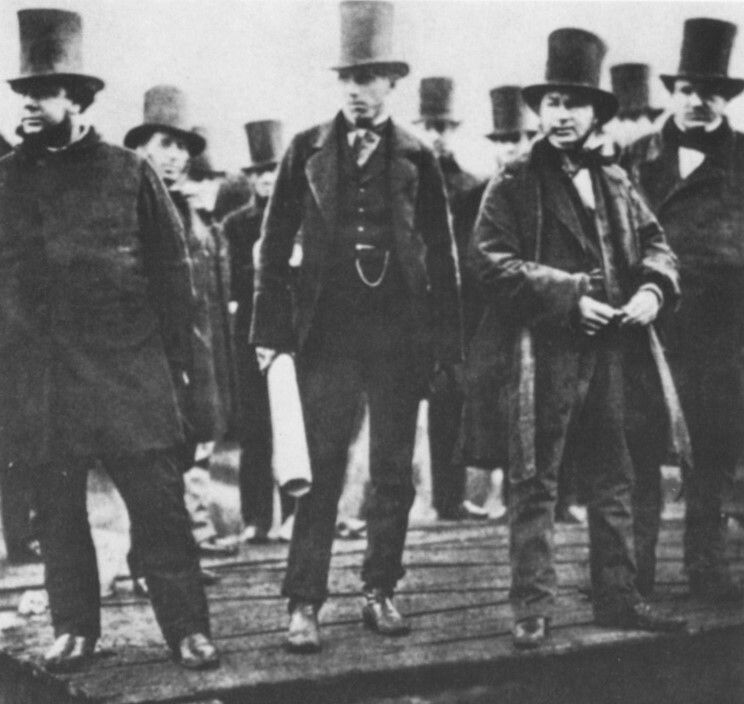 assistant), Isambard Kingdom Brunel (designer) and Lord Derby. 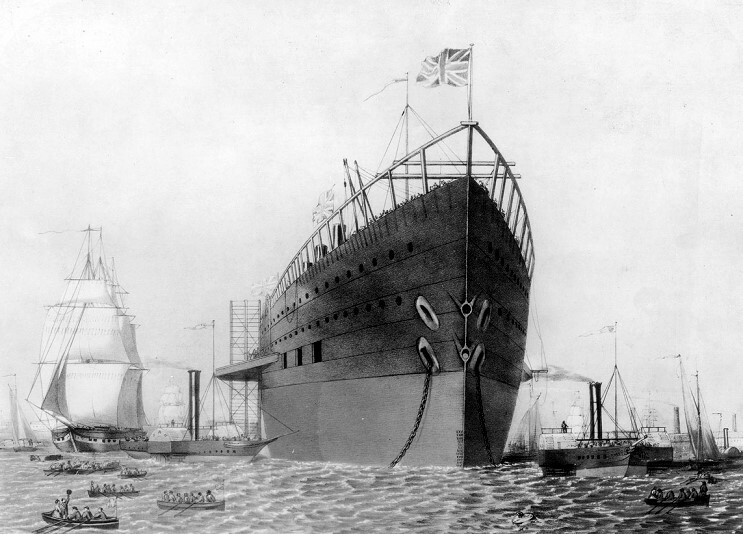 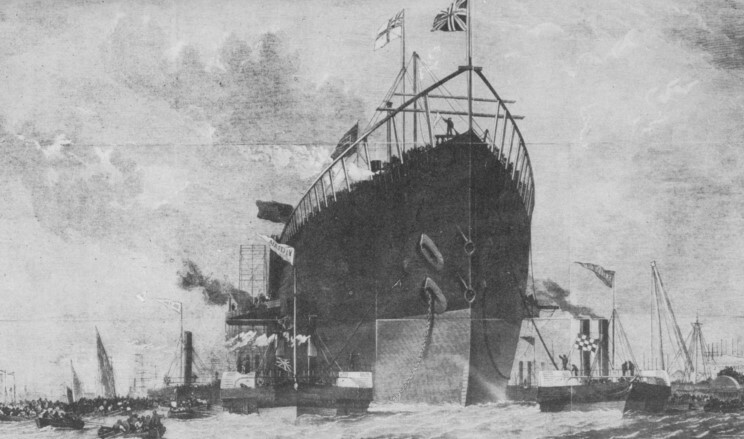 1858: An engraving of the Great Eastern fitting out at Deptford on the Thames.